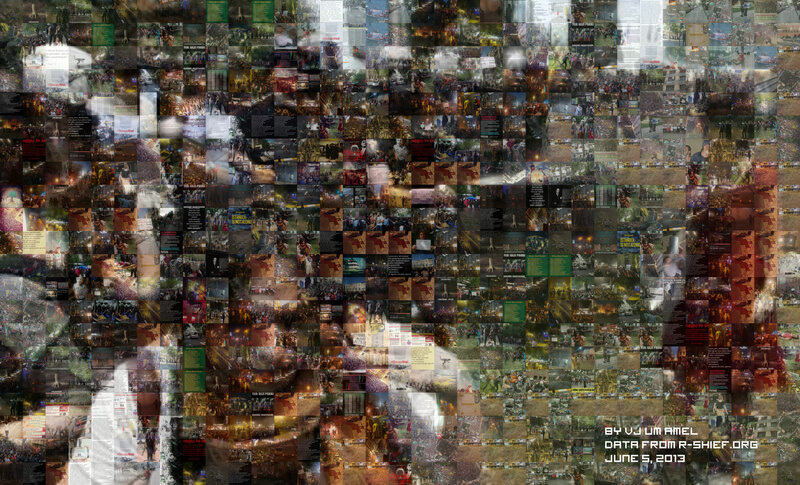 These two mosaics are comprised of 2,000 images tweeted with the hashtag #OccupyGezi from May 31 through June 1, 2013. Total data sample 106,000 tweets from R-Shief.org. 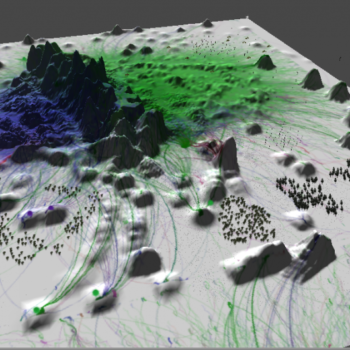 They represent the visual landscape of social media in times of political mobilization. The theoretical form of these visual expressions is intentional—one signal image is never the totality of the moment. Instead, such iconic images come to stand for an infinite number of visual memories, some recorded, most not. 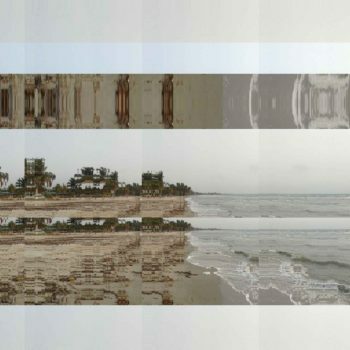 The use of the mosaic mode of “assemblage” is intended to capture this notion of the infinite, reiterative algorithmic form of any single visual expression. These mosaics demonstrate yet another layer of encoding and decoding of the data. 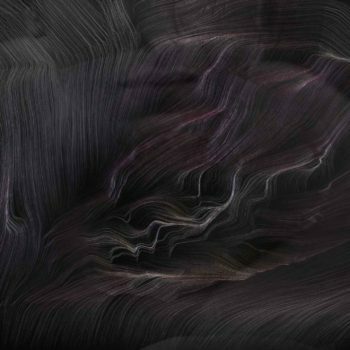 In response to the fetishizing of technology, or data, or the uprisings in the Middle East, they represent a secret world of code in an abstract, algorithmic aesthetic, blown up and situated in and out of time. The mosaic images are not literal representations of this body of text; they are a stand in, a metonym for it. Thus, the aesthetics of the work I am proposing also trace back to choices made while creating the archive—understanding not only the text within the archive, but that the archive itself is a text is also imperative.